Thank You for Your Service (film, 2017). A 2017 American biographical war drama film with "R" rating by Universal Pictures. Directed by Jason Hall. Official Trailer. Thank You for Your Service is a 2017 American biographical war drama film directed by Jason Hall. 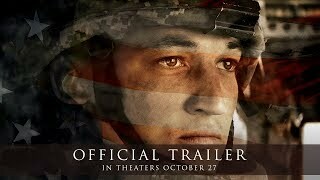 Thank You For Your Service - In Theaters October 27 - Official Trailer (HD). 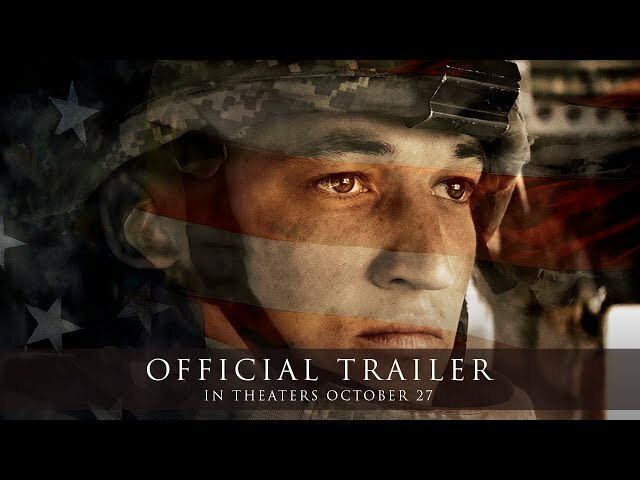 After a harrowing 15-month combat experience in Iraq, the much-decorated Adam Schumann (Miles Teller) returns home to Kansas and a loving wife, Saskia (Haley Bennett). Adam and Saskia have two young children, a daughter and an infant son born while Adam was still overseas. Adam suffers from PTSD as manifest by nightmares and frequent flashbacks for which his wife convinces him to seek help from an overburdened Department of Veterans Affairs. He also receives solace from two Iraq buddies living nearby, an American Samoan, Solo Aeiti (Beulah Koale), and Billy Waller (Joe Cole), who commits suicide in front of his fiancée (Erin Darke) after discovering she has taken all his money and their child and left him. Adam's unresolved psychological issues revolve around his failure to safely rescue a fellow soldier from a building under fire, Michael Emory (Scott Haze), who was dropped on his head and rendered hemiplegic but later expresses gratitude to Adam for being alive, and survivor's guilt about letting Sergeant First Class James Doster (Brad Beyer) take Adam's place on patrol one day. When the Humvee with Doster filling in for Adam makes a wrong turn and hits an improvised explosive device, Solo assists the men in their escape to safety, but Doster is inadvertently left behind and dies in the conflagration. Doster's grieving widow, Amanda (Amy Schumer), who is best of friends with Saskia Schumann, finally gains closure as she learns the circumstances of her husband's death towards the end of the movie and absolves Adam and Solo of responsibility for it. Principal photography began on February 9, 2016, in Atlanta, Georgia. The film Thank You for Your Service was scheduled to be released by Universal Pictures on October 15, 2017 (Heartland) and on October 27, 2017 (United States). The duration of the film is 108 minutes. With a budget of $20 million, the film grossed over $9.5 million. Thank You for Your Service got high rating from critics. The audience also likes the film. Audiences polled by CinemaScore gave the film an average grade of "A-" on a scale ranging from A+ to F.